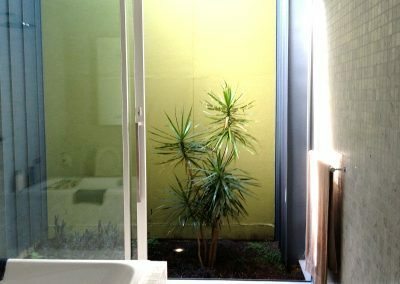 The bathroom – the relaxation zone, the privacy haven, the fountain which is the source of your renewal. 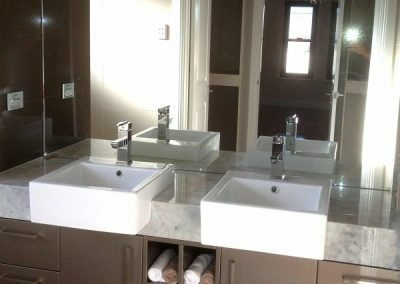 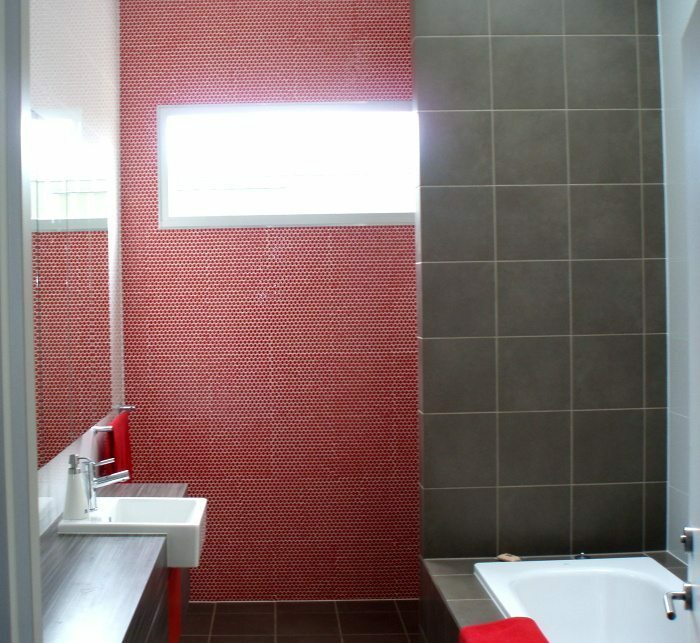 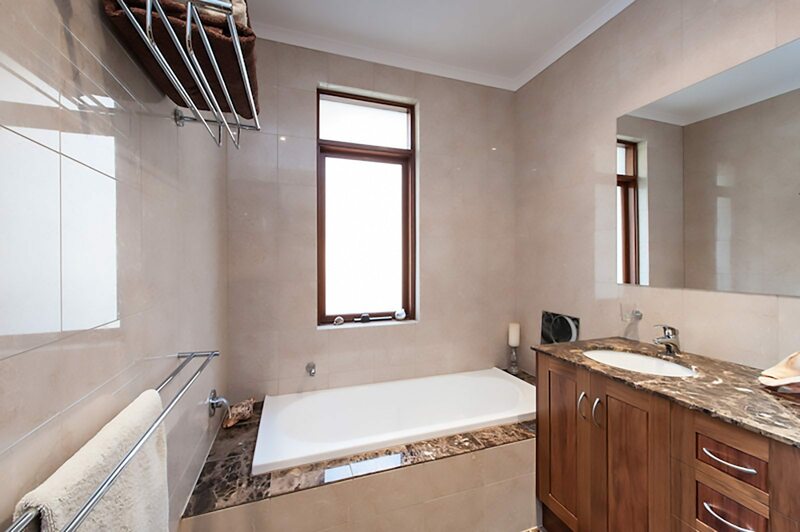 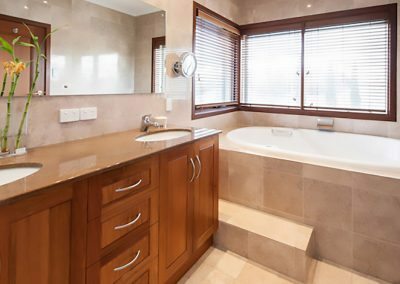 We’ve been specialising in bathroom renovations for many years. 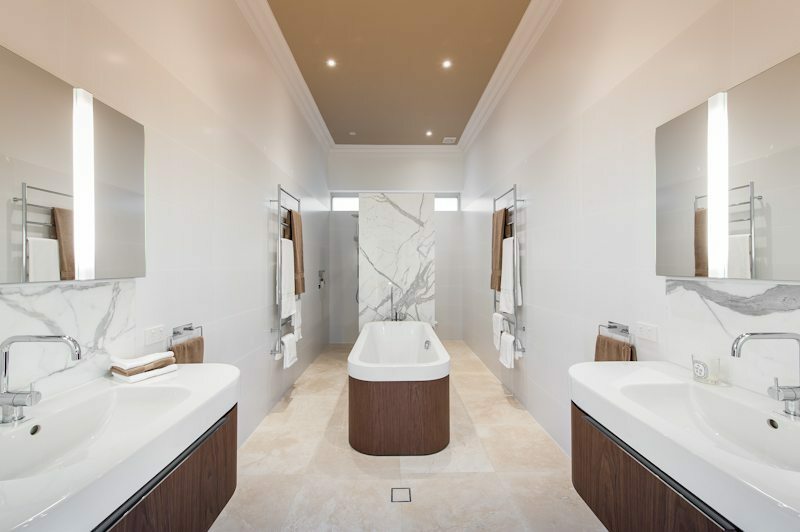 We are sure that there are no two bathroom updates that are even vaguely similar and we always look forward to the challenges presented by our customers. 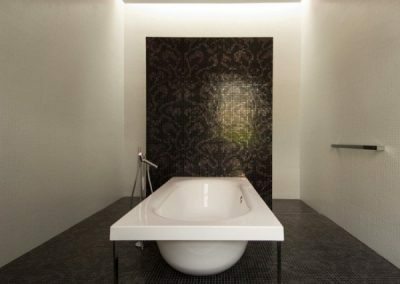 Lets look at some of the possibilities when considering bathroom renovations. 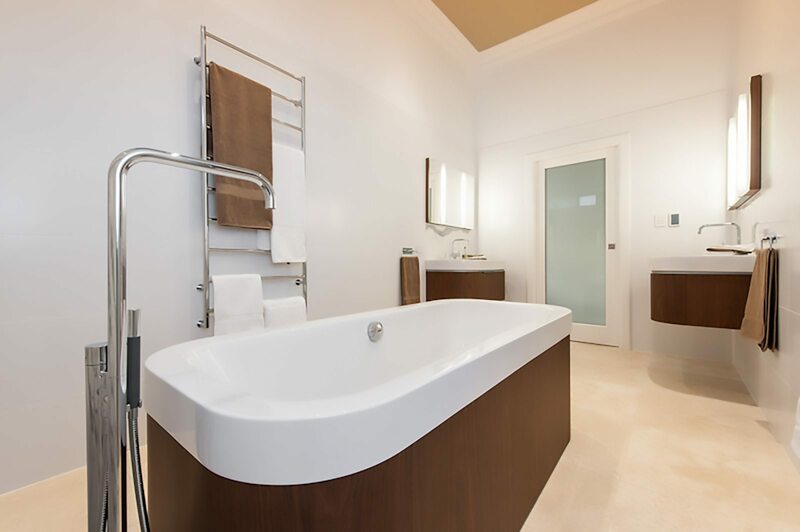 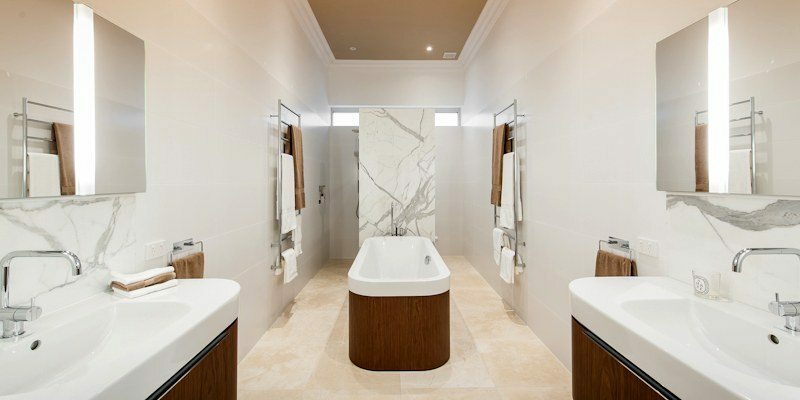 Your choice of baths can include designer selections, spas and stand-alone baths. 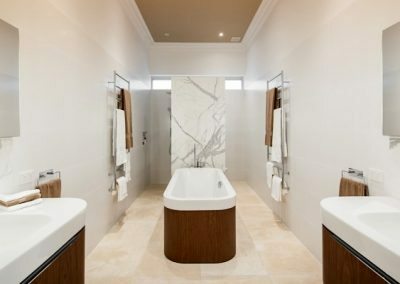 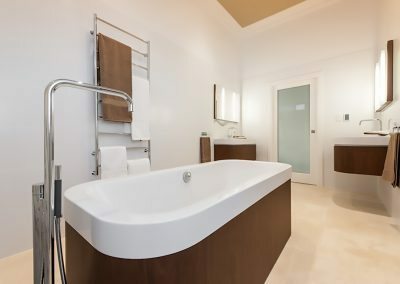 Your bath could be the feature of the bathroom, or perhaps you don’t even need a bath at all? 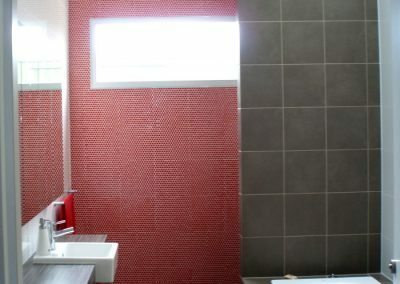 Shower heads can come down from the ceiling, installed as removable from the wall or you can even have two shower heads. 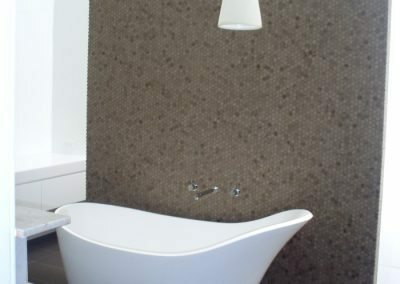 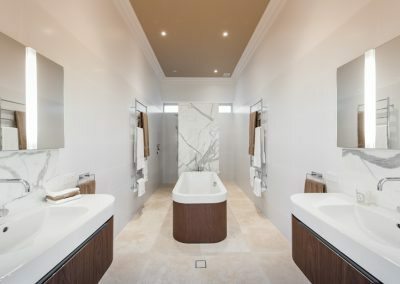 If you have more than one bathroom, we can continue with the same materials throughout your home with different fixtures to suit the people using them. 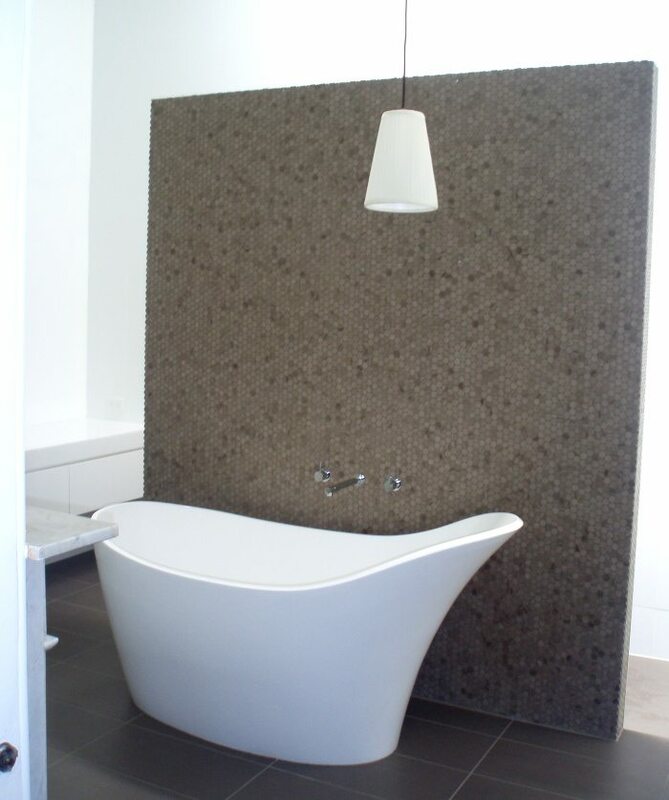 Tiles will be an extra feature to your bathroom and can include mosaic tiles, marble or ceramic tiles. 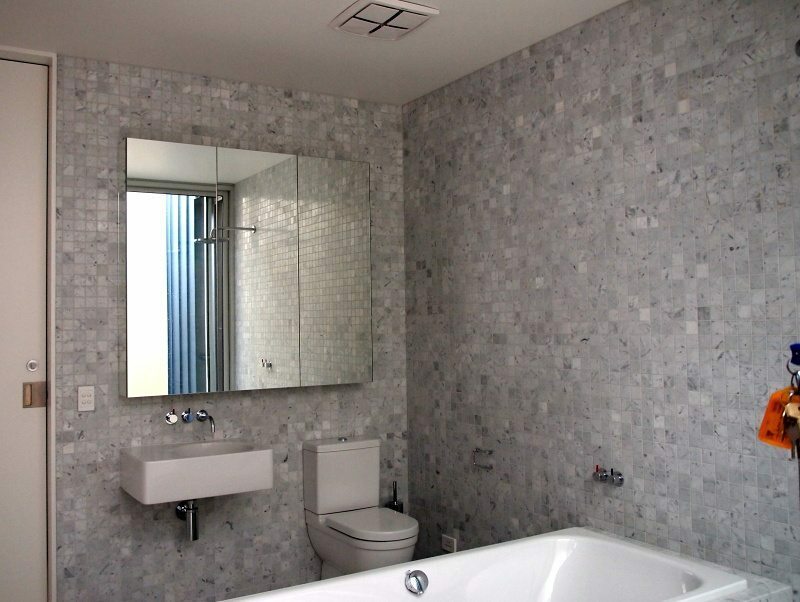 Our expert tilers can even lay tiles on the diagonal as a feature. We can assist you with your selections so that you bathroom has a similar décor to the rest of your home. 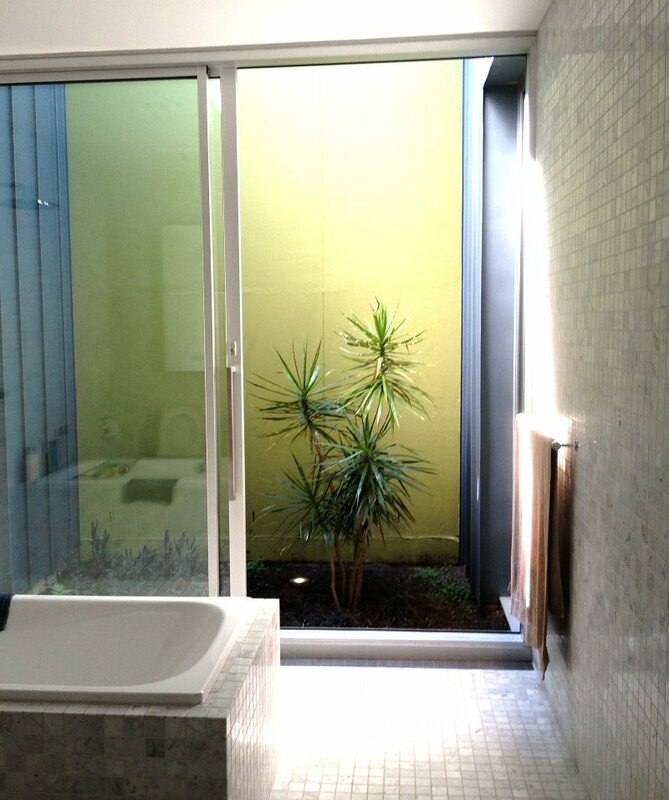 Or you could be daring and make a bathroom a feature of your home as illustrated in the first picture. 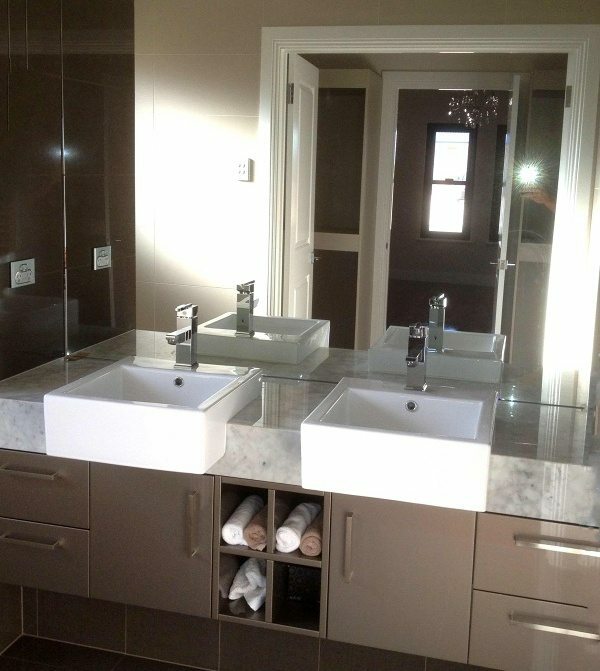 From full design to completion Cavallaro Building Services will be with you every step of the way.